Now, if where you are today is the last place you would like to be, then this moment is your starting point, the important place from which you will create a way to shine again–to achieve, produce, and share the lessons you have learned as a result of your hardship. Perhaps you feel happy about where you are today, perhaps you have come that far. Then this too is your time to create a way to help others. Share how you achieved your success. You will not be “giving your secrets away”; instead you will find that you are helping so many people uplift themselves that the rewards and recognition you receive will be immeasurable. A special woman named Arielle Ford is a well-known, highly respected publicist. Because I did not yet have a publishing contract while writing this book, she could not take me on as a client. But I knew I needed publicity to ensure that the messages in this book would reach you. Arielle offers a taped seminar series called “Book Publicity University.” It is phenomenal. She created it for authors who cannot afford to hire a publicist. Ironically, on one of the tapes she describes a recurring dream in which she shares her publicity secrets and know-how with others. At the time those dreams occurred, she thought, “What a nightmare.” When I listened to this, I smiled. Her “nightmare” was the answer to my prayers. If you take a lit candle and walk into a room with one hundred people, each holding an unlit candle, and you touch your flame to the wick of another candle, you create more light. You do not lose anything by giving unto another. And as all the people in the room realize this, their light touches another until all one hundred candles are lit. The room is filled with light. Yet you always and forever will retain your own. That is the process and the power of giving. You do have so much more when you give and so do so many others. If you held onto your single lit candle and were afraid to lose your light by giving to another, your fear would prevent you from seeing the difference you can make. Your fear stems from your belief that you will lose what you have if you give to another. Please realize you are not meant to give all you have away, but you can certainly contribute: simple advice, a phone call, an answer to a letter. When you cooperate, you give. When you lend an ear, you give friendship or comfort. Time is a valuable gift. Do not deplete your life, however, if you are not being given to in return. © Copyright 2001, 2003, 2012 by Barbara Rose, PhD All rights reserved. Partial excerpt from the book “Individual Power: Reclaiming Your Core, Your Truth, and Your Life” by Barbara Rose Published by The Rose Group (April 2003) ISBN-10: 097414570X. 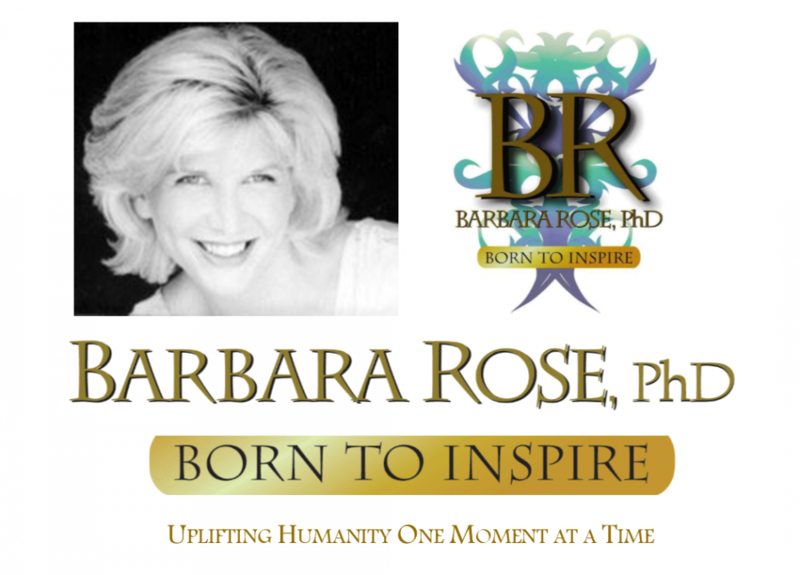 This entry was posted in Browse Answers from God, Exclusive Book Excerpts and tagged Barbara Rose PhD, BORNTOINSPIRE, Browse Answers from God, Business Competition, Competition, Guidance from God, higher consciousness, Individual Power, life transformation, uplifting humanity by Barbara Rose, PhD |Born To Inspire | Bestselling Author| Life Transformation Expert. Bookmark the permalink.